I think this is a brilliant Two Face mask. It gets across the idea without being right from the comic. 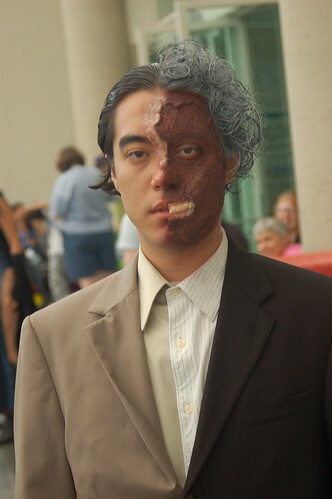 It might be the best Two Face I have ever seen.